I don’t support it’s too much to ask for some warm spring weather so we can get a friendly game of tennis going? Even in Virginia, which as an Ohioan I will say is firmly in the South, we are expected snow again this week. Regardless, in the early 1940’s, I wouldn’t have wanted to go up against this guy. 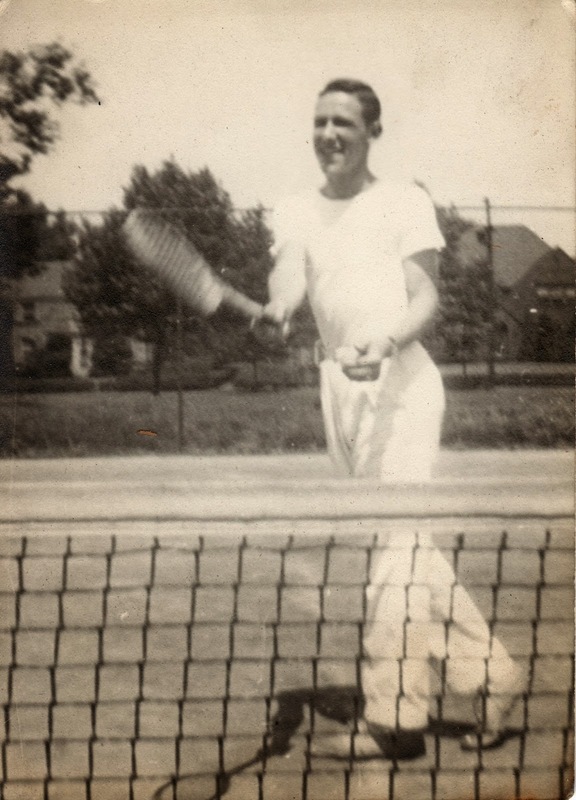 My grandpa Chuck was a tennis phenom, winning the City Series doubles tournament in 1941. This photo is part of a series that appear to have been taken professionally, or at least for a specific purpose such as a yearbook or newspaper. They capture Chuck and his doubles partner on the court in very staged poses. ← Mystery Monday – Whose House Is This?